When it comes to Mexican food, I have a lot of live up to. My husband is Mexican, his whole family is Mexican. I have a brother-in-law who recently became a citizen, so his family is steeped in true Mexican traditions. It’s intimidating, sometimes, when I have to cook something for them, because I always wonder if it’s truly up to snuff, you know? 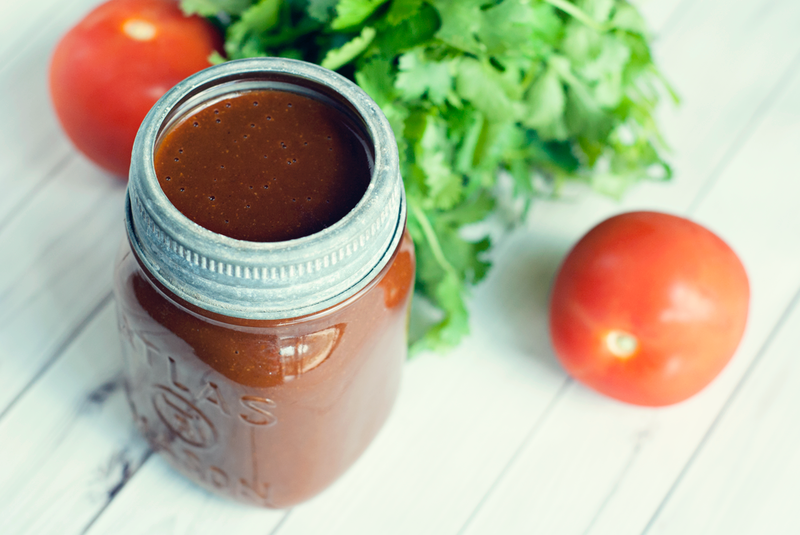 I have a few great, truly authentic Mexican recipes tucked away under my belt that I’m pretty proud of, and I’m going to add this recipe for enchilada sauce to that list. It’s hard to believe that all this lovely, rich color is from spices alone, but it’s true! This batch was a deep, rusty color because I used Wild Oats Marketplace Organic Chili Powder (brand) and beef broth, but the color can vary depending on the brand/quality of chili powder and what broth you use. 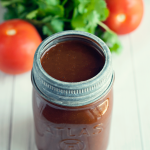 I usually change the broth based on the type of dish I plan to use this recipe for enchilada sauce with. I also tend to adjust the salt just slightly depending on the chili powder and broth type, because some chili powders contain a little salt, and beef broth tends to have a saltier flavor than chicken or vegetable broth, so I definitely recommend starting on the low end of salt, tasting as the sauce thickens, and add more as needed. You’d be amazed at how many batches I ruined in the process to get to this recipe because I kept adding too much salt. It’s a rough life, wasting so much deliciousness, but really, too much salt is the bane of this recipe, so approach that salt with caution, mmkay? At this point I would like to note that those tiny fingertips belong to my mom! 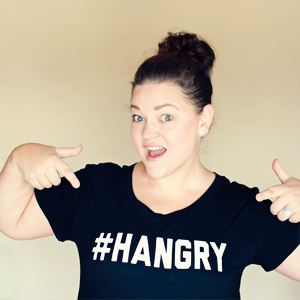 She’s making a cameo on my blog today since she helped me with these pics while visiting me last week! Ha ha ha, HEY MOM! You’re famous now! Woo! 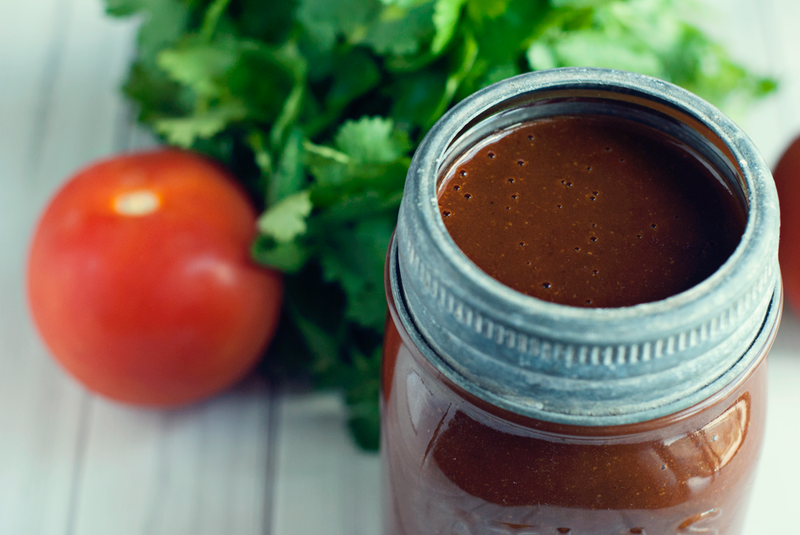 So, who’s ready to try a truly authentic Mexican recipe for enchilada sauce? You? Hell yeah, let’s do this. 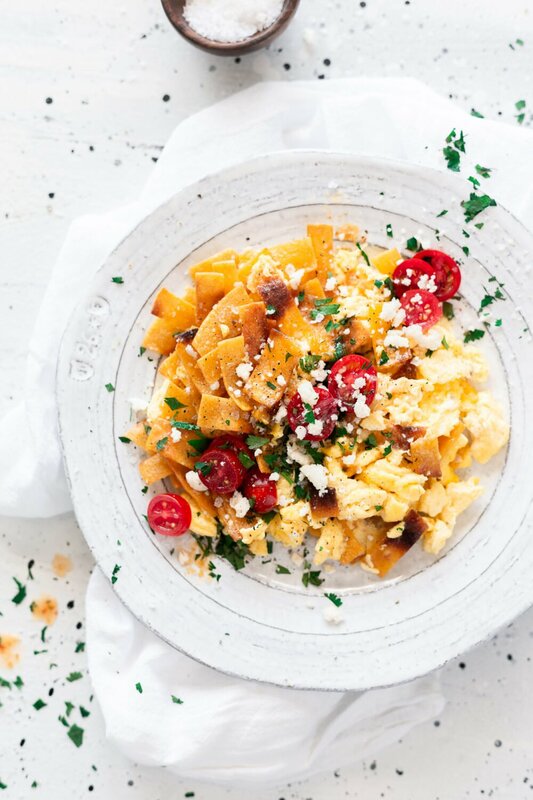 Once you’ve made it, use to make this delish Enchilada Pasta! Heat oil in a small saucepan over medium, medium-high heat. Add the flour and stir gently for one minute. Stir in the remaining seasonings, then gradually add in the broth, stirring constantly to remove lumps. Reduce heat and simmer 15-20 minutes until thick. Totally going to make this. Thanks for sharing! Oh that looks good! I'm hungry for some enchiladas now!! This looks so easy to just make myself instead of having to buy it! Thanks for the recipe. Holy crap! So going to try this! this looks so good! Definitely saving this for later! Must try. I've been wanting to try my hand at making enchiladas on my own, so I'll definitely use this when I do! This looks SOOOOOO amazing! I'm definitely going to be whipping up a batch for dinner in the not too distant future! I really want some enchiladas now! 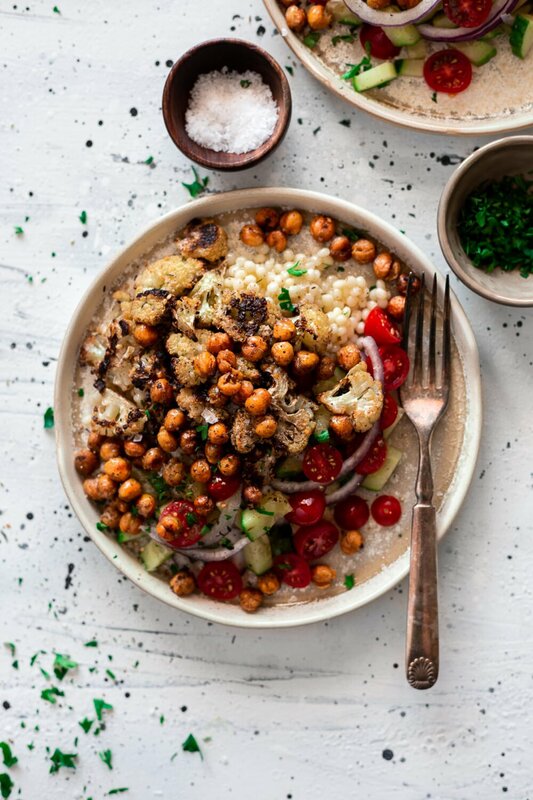 Might just have to make this for dinner tonight. oh my! this looks relish! 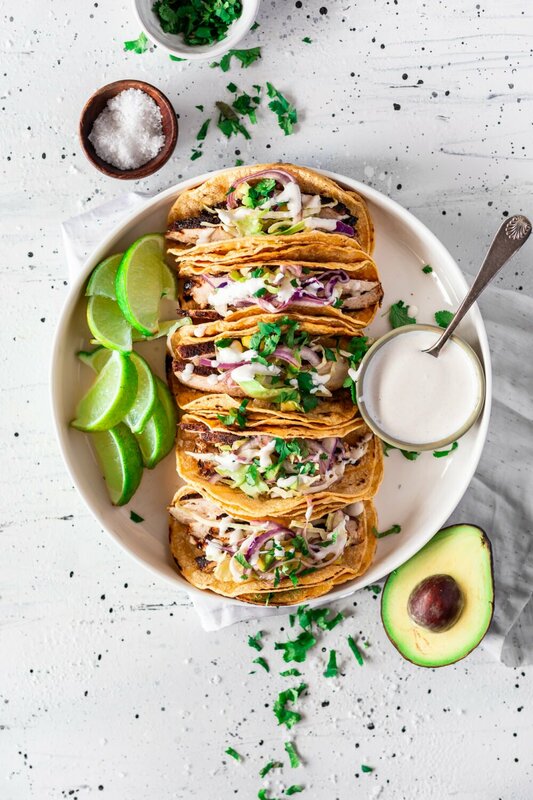 Oh yum.. this looks super delicious..
We are always on the search for yummy alternatives to store packaged sauces. Hope mine turns out as good as yours looks! Girl, I wish I lived next door to you. 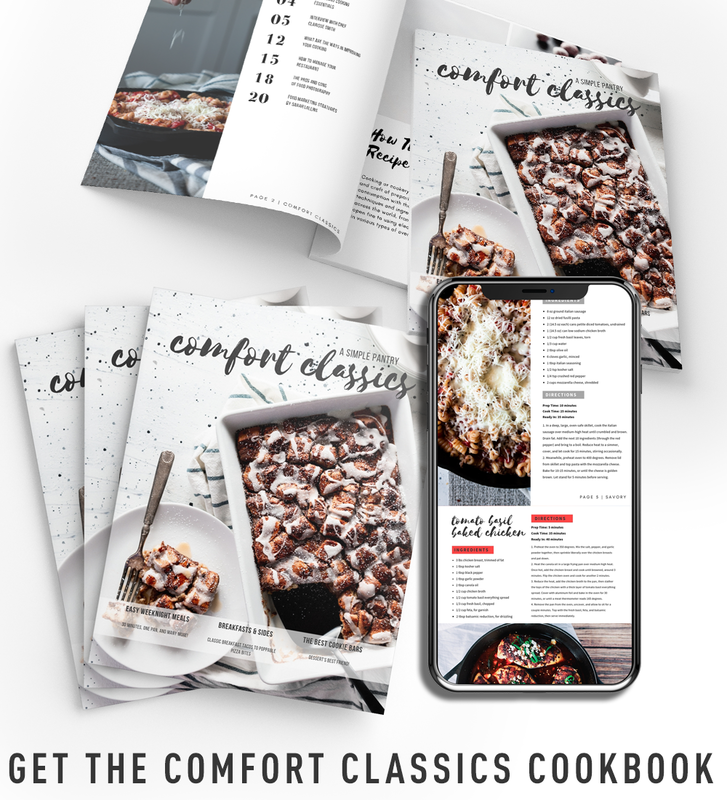 Every recipe has me drooling! 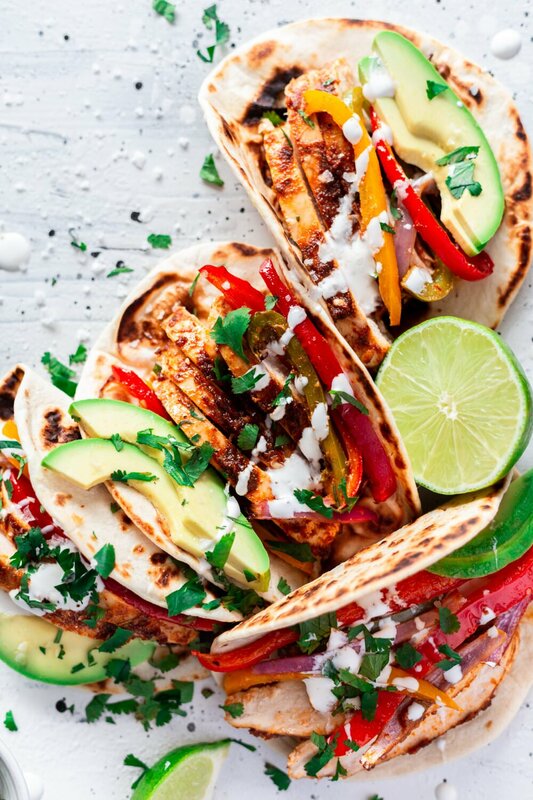 This recipe looks very good...very easy, too! Thanks for posting! Maybe this is a silly question, but doesn't Enchilada Sauce usually have Tomatoes as an ingredient? Hi Elizabeth!Tomatoes in enchilada sauce is more of an American-ized version! 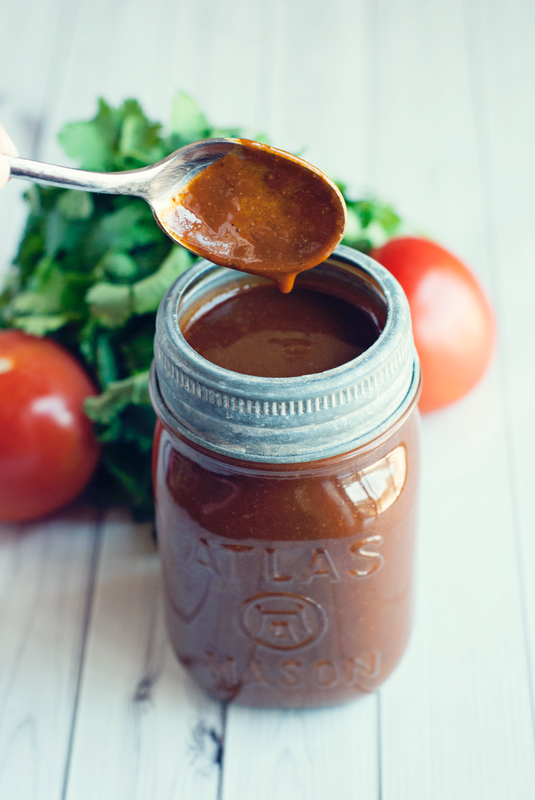 Traditional, authentic enchilada sauce has none. It blew my mind when I first discovered that! Thanks so much, Karly! I'm very impressed with how quickly you responded! I never knew that about Enchilada Sauce =) I'll definitely be making this soon...thanks again! I would love to know what kind of chili powder you used. Every recipe says chili powder but no one seems to list what type/quality. I have used countless types of chili powder and I'm not coming up with a great flavor to this sauce. Can you tell me what type of powder you used since everyone agrees that the powder makes the sauce. Thank you! Hi Stephanie!I use Wild Oats Marketplace Organic Chili Powder. I am not sure what stores carry it beyond HEB, which is my local grocer. I have used Spice Island brand in the past with equal success! My ex what Hispanic and his dad taught me how to make enchiladas from scratch. I always thought the sauce was missing something, I think it was the broth. I'm printing this out so I can try it. All the other sauces I saw had tomatoes in it but that just didn't seem right. Thanks for sharing! Sooooo good! Reminds me of the enchilada gravy my Mom used to make. Didn't have canola oil, used lard instead. Your recipe is authentic, no use of tomatoes, only spices! Thank you for this great recipe. I found this as a replacement for my lost 'no tomato' recipie. I read lots of comments from people saying the planned to try it but not many that had. Sooooooo I'm back to say I tried this recipie today. I'm happy with it. It did take me a little longer to thicken the sauce. Next time I will add equal amounts oil and flour to see if that thickens it quicker so I won't loose so much liquid with the reduction.Flavor wise it was spot on. 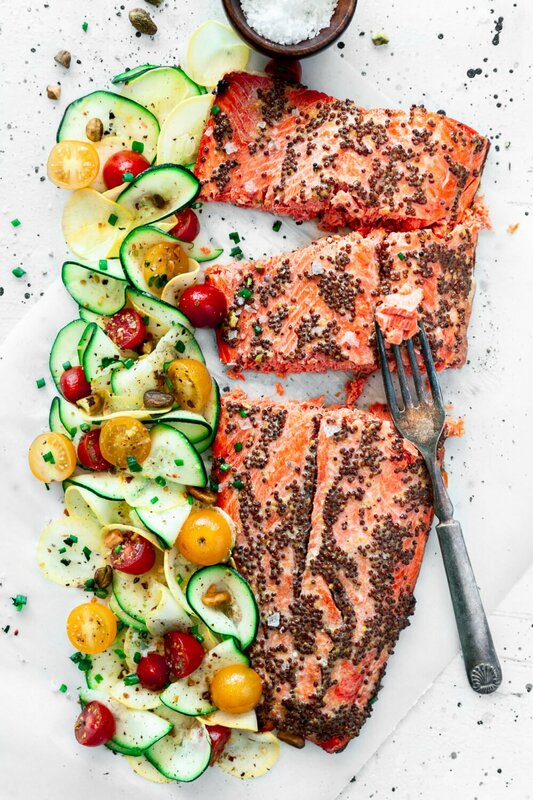 I needed a teeny bit more salt but other than that, the remaining ingredients play together in perfect harmony.Thank you for sharing this with us! This was delicious. Thanks for sharing. I did improvise a bit as I ran out of chili powder and used 2 tablespoons of cocoa chili blend with about 2 tablespoons of maple syrup as I like a touch of sweetness. I dumped my roasted pork in half the sauce to marry and served over rice. So good! And I have sauce left over for another dish. Just made this, and it is BOMB! Happened to have everything on hand, and it is mouthwateringly delicious! Oh yay! I am so so happy you love it! 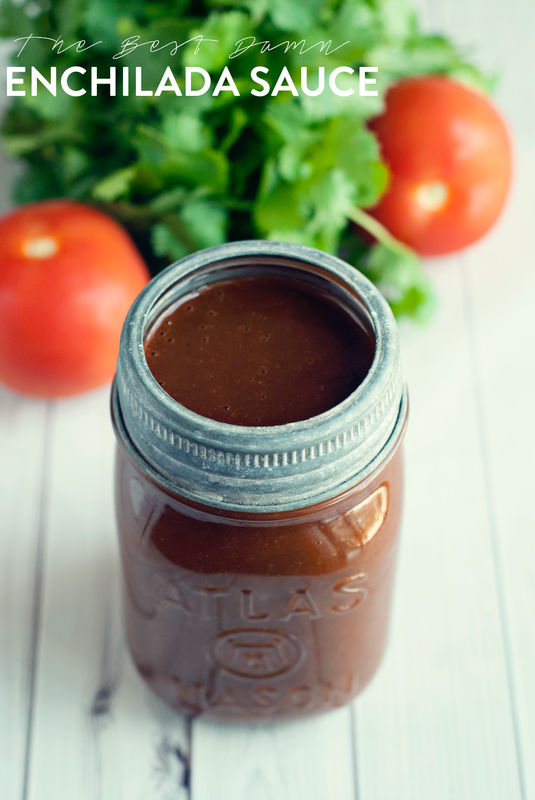 Outstanding enchilada sauce! I had everything on hand and went strictly by the recipe.A local restaurant makes their Mexican food taste so much better using a beef sauce like this.So much better than a can! Thanks so much,Kim from Michigan. My mom makes a similar sauce using bacon grease instead of oil and reduced sodium broth. She tops her cheese enchiladas with the bacon, making them amazing. The quality of chili powder is very important.